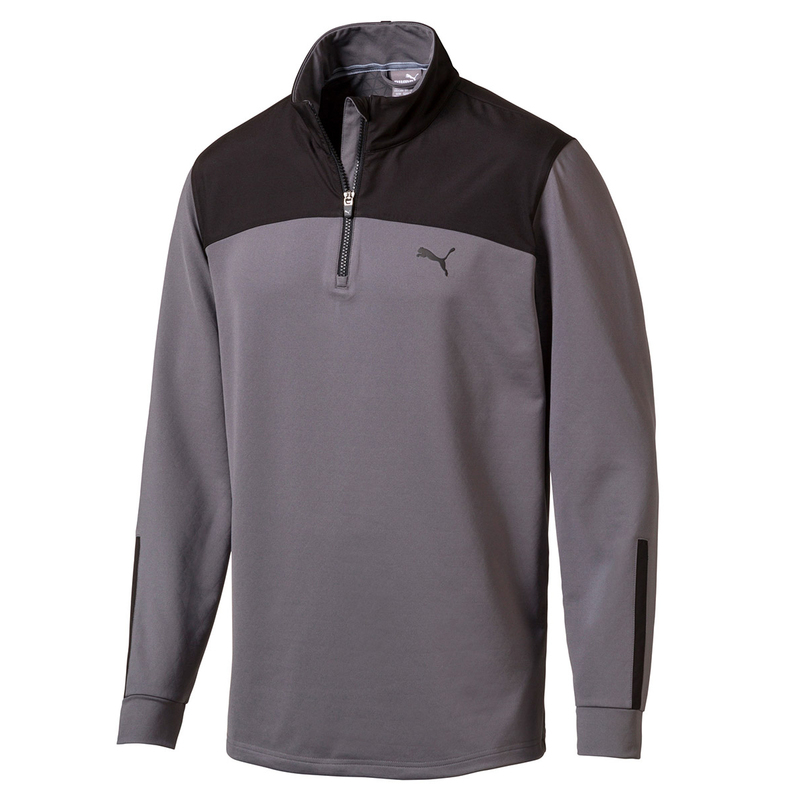 Play at the very highest level of golf, with this warm and comfortable playing top from PUMA Golf. Designed with warmCELL technology and a PWRWARM ceramic print, which retains heat close to the body, and keeps you regulated at your optimum body temperature. The garment has moisture wicking stretch fabric, which allows you to swing more freely, plus draws sweat away from the body for less distraction during your round of golf. 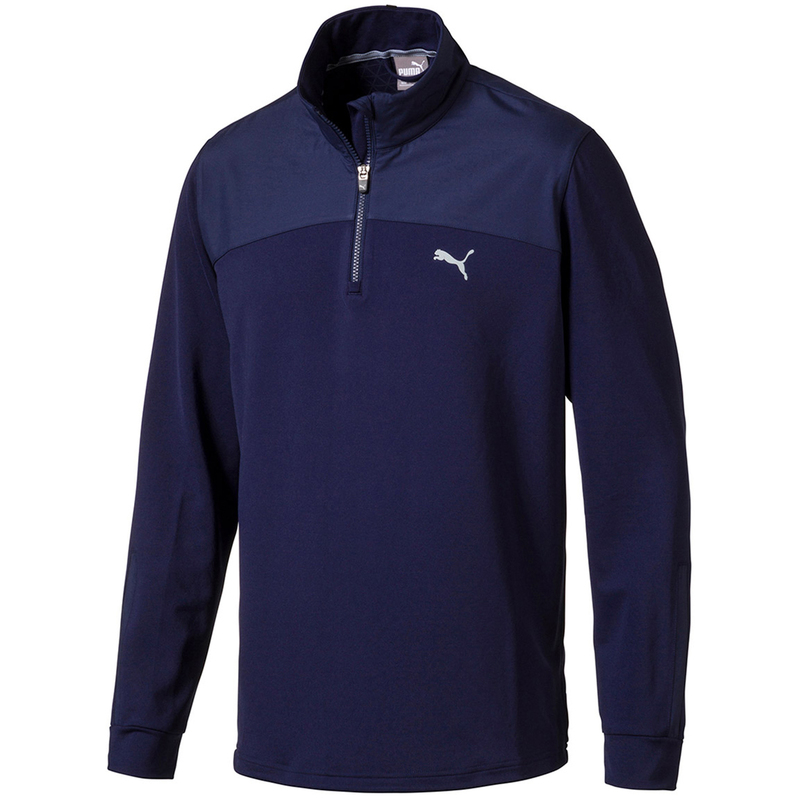 Other features include a raised neck and 1/4 zip opening, and is highlighted with a 3d heat transfer Cat on the left chest, and 18 Hole loop label on the back collar.